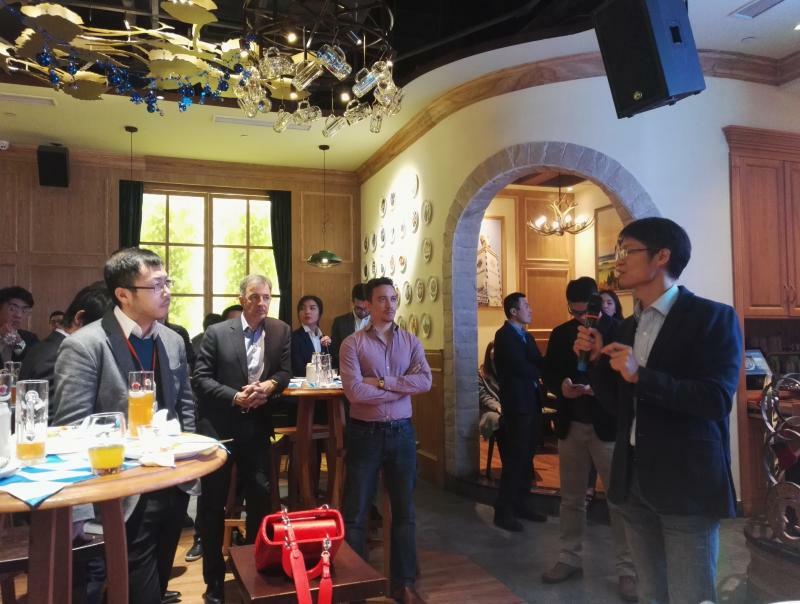 Over 100 representatives, including members of the 15 startups that have been selected to enter the 2nd Ping An Cloud Accelerator program, investors, accelerator mentors and senior executives from Ping An, attended the Ping An Cloud Accelerator Cohort Opening Dinner in Ping An Financial Center on Monday night. “Ping An Cloud Accelerator was actually jointly created by Futian District Government and Ping An Technology. Shenzhen is a very international city with many expats doing business here. Most of them are concentrated in Futian. Over 100 Fortune 500 companies have representative offices in Futian,” said Zhu Jiang, head of Invest Shenzhen Futian & Futian Finance. “Out of the ten companies to graduate from the first cohort in the Ping An Cloud Accelerator, six of them have already registered their companies in Futian. Out of the 15 startups from the second cohort, 11 are from overseas. We hope they will be as successful as the first batch,” said Zhu. Zhu said that Futian set out to build a highland of fintech last year. Over the past two years, a lot of infrastructure and institutes in fintech have gathered in Futian, including listed companies, research institutes and accelerators. “Shenzhen is one of the most vibrant cities in China and one of the fastest growing cities in the world, not just in China. Fintech is definitely one leading edge. It’s safe to say the finance of Ping An is truly No. 1 in China. So the combination of the No. 1 in finance and the Ping An ecosystem of the whole group lays a very good foundation for the success of startups,” said Ricky Ou, Chief Product Officer of Ping An Technology and General Manager of Ping An Cloud. According to Ou, foreign startup companies with cutting-edge technologies need to overcome two main barriers in order to be successful in China. “Firstly, they need to get their technology localized to China. Secondly, they need to have market access in China. And this is exactly the cool services that we provide startups, the ease of entry to the Chinese market via Ping An, the expertise on how to localize their technology and our mentorship,” said Ou. Ally, from the American company Gliding Eagle, is the representative of a startup from the first cohort. “Gliding Eagle was born in Silicon Valley eight years ago. We use blockchain to create a better future. In July this year, Gliding Eagle successfully delivered anti-hepatitis B drugs from the U.S. to Chinese patients using Gliding Eagle’s blockchain technology. We thank Ping An Cloud and other partners for the support,” said Ally. 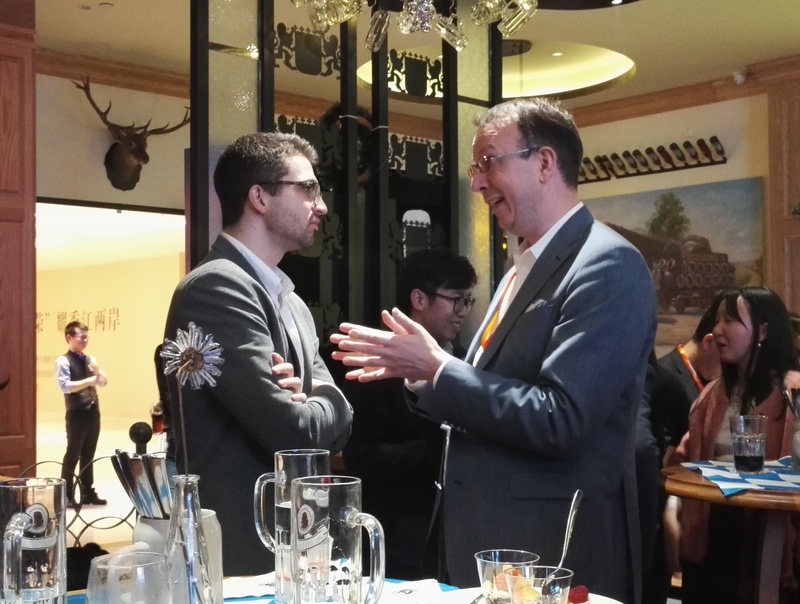 Richard Dunsheath, trade commissioner of New Zealand Trade & Enterprise of the New Zealand Consulate-General in Guangzhou, told the Shenzhen Daily that they cooperate with Ping An Cloud Accelerator. He was also invited to be a mentor for the second accelerator program. “Because most of my work centers on helping companies enter the Chinese market. This is also what they are trying to do. This is the first cohort I have been involved in. I just met one startup that is applying the Internet of Things to building smart cities, skyscrapers and shopping centers,” said Dunsheath.